If you have questions regarding a download file, make sure that you read the FAQ page first and include the relevant information in your email. If you are looking for information specifically relating to Melliodora, the people at Melliodora, or Holmgren Design, you may be able to find the information you need if you explore the website. You can use the tabs at the top of the screen and/or the ‘category’ and ‘tag’ links in the right hand column of the homepage to find published information. There are a lot of resources on the Ideas page of our site with essays, articles, audio files, presentations by David, as well as embedded videos. If you are looking for general information, you could try to find a source of information available on the internet, if it is not something mentioned on our site (eg. on the Ideas page). 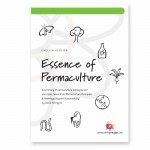 There are other permaculture sites that include a variety of information, and forums which already have a treasure trove of information available, and where there may be more people available to answer your questions or point you in the right direction. We also have publications for sale in our online Shop that are a wealth of information. If your query is something you need us to answer, please try to be concise and include a clear subject heading to help us identify your email. There is information about the Melliodora tours on the Melliodora page. During the warmer months we offer monthly house and garden tours. Upcoming events are listed on the Events page. Usually there will be a link to more information about each event from this page. We can add you to a mailing list to update you about upcoming events. Putting Mailing List in your subject heading will help. David is not taking on a much consultancy work at present as he is busy with other projects. Local consultancies are more likely to be possible and we are sometimes able to recommend other consultants in our area and some further afield who may be able to help instead. Please let us know your location if you are enquiring about consultancy. 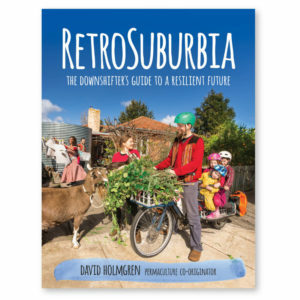 If you would like to find out availability for David to speak at an event, or to have an interview, please provide information about yourself, your organisation, your program, publication or event, and time lines you are looking at. You might also like to visit our Events page to see if your event clashes with any events already booked. If your enquiry is important and you do not hear back within a couple of weeks, please remind us by email or phone.